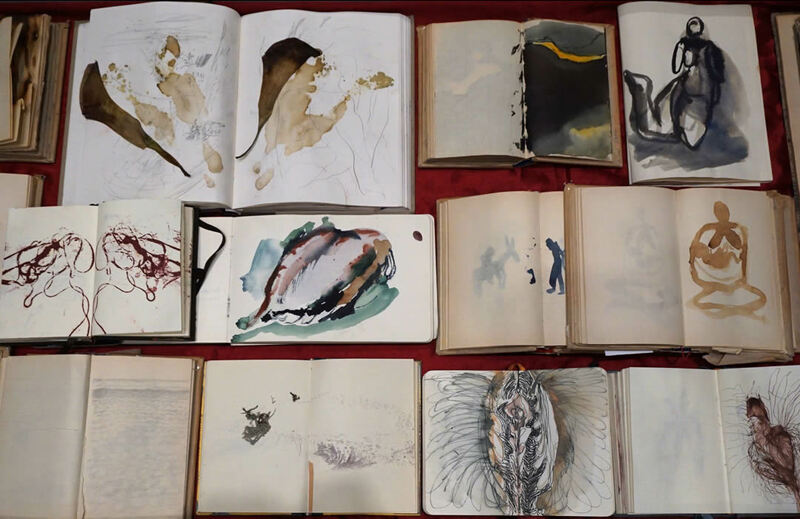 45 Sketchbooks and 101 works on paper were found in the artist’s abandoned studio. The drawings are primarily ink or watercolor on paper, often with washes extracted from plant sap, wine or blood. Some incorporate oil paints, apparently rubbed off from other paintings. All these works are catalogued and given an inventory number.